— WE WORK TO GROW the sport of swimming and promoting healthy and active lives. Despite what some believe, when I first entered the pool, I did not swim the butterfly stroke gracefully from end-to-end. Like most of our im program participants, I was afraid. In fact, I started swimming on my back because I didn’t like to get my face wet. But because I had someone to encourage me, who understood the importance of water safety, I developed a comfort level for the water. The more time I spent in the water, the stronger I became, and my passion for the sport grew. Swimming provided the opportunity to stay healthy while I learned about hard work, determination, and setting goals. I’m proud to say these principles guided me through my career and are the foundation to our im program. With the help of the Boys & Girls Clubs of America and Special Olympics we have reached over 20,000 program participants since 2010 with our life-saving programming. Like the majority of our program participants, seven-year-old William from Knoxville, TN, came from a single-parent household, afraid of the water and unable to swim. At a young age, a cousin pushed William in the water, unaware that he could not swim. The memory kept him out of the water for years. After hearing about im, William was determined to face his fears and signed up for the program at the Tennessee Valley Boys & Girls Clubs. He learned lifesaving water skills and quickly progressed through the program. The pool quickly became a safe place for William to set and achieve his goals while overcoming a major fear. Around the same time, William’s father re-entered his life, only to be taken away by a violent crime a couple miles from the club. But William showed great courage and perseverance and returned to the club three days later because he “wanted to swim”. His story inspired me and was a great reminder that it’s not just about swimming. It’s about being safe in the water, overcoming fears, and having a healthy life. William is just one of the thousands of kids flourishing because of our relationship with Boys & Girls Clubs of America and Special Olympics International. We couldn’t have done it without our supporters and for that we thank each and every one of you. In 2010, Michael joined fellow Olympians Ross Powers, Lenny Krazelburg, Seth Wescott and Daron Rahlves and launched the Level Field Fund, a grant-giving program that provides funding for uniquely talented athletes in need of financial support. We helped to establish a swimming-specific program within the fund to directly support swimmers in need of financial assistance. In addition, we worked to organize Caps for a Cause, to aid the fundraising efforts of other non-profit organizations committed to bolstering growth of the sport and/or encouraging children to live healthy, active lives. Through an application process, these organizations can apply to receive an authentic Michael Phelps signed swim cap to offer during their silent or live auctions. We have helped raise over $60,000 for nonprofits that share our mission. Working to promote healthy, active lives, especially for children, primarily by expanding the opportunities for participation in the sport of swimming. 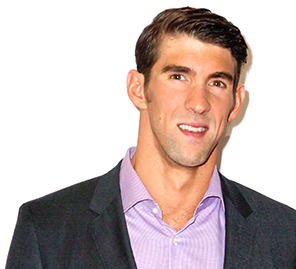 The im program is named after Michael Phelps’ signature event, the Individual Medley. The name also reiterates our message by abbreviating the self-affirming, “I am.” The Individual Medley requires resilience and versatility, two characteristics found in all program participants. The im program was developed in 2009 with our friends at KidsHealth.org and Michael Phelps Swimming to encourage healthy and active lifestyles for participants by offering water-safety courses, recreational pool activities, and swim training, as well as health and wellness education. The program was piloted in six Boys & Girls Clubs of America in 2010. In August of 2011, after Michael Phelps became a global ambassador for the Special Olympics, we partnered with Special Olympics to launch an international pilot program in seven countries and across six continents. In this expansion, the program was adapted not only for children of varying skill levels, but also of intellectual and physical abilities. In 2018, we celebrate 10th Year Anniversary and were pleased to add eight emotional health lessons in our im program curriculum. We also added an in-water illustration guide for our Trainers. Following the belief that opportunities to pursue excellence in sport should not be limited by an athlete’s financial situation, The Level Field Fund strives to bridge the gaps in funding to uniquely talented athletes. Simply put, we are funding talent and fueling dreams for the next generation of Olympic heroes. We partnered with the Level Field Fund to create the Level Field Fund-Swimming grant to talented swimmers with financial need. Non-profit organizations committed to bolstering growth of the sport and/or encouraging children to live healthy, active lives. Through an application process, these organizations can apply to receive an authentic Michael Phelps signed swim cap to offer during their silent or live auctions at their fundraising event. The Golf.Give.Gala is our premier fundraising event. This exclusive event provides players with a once-in-a-lifetime experience. Not only will our participants have the opportunity to walk alongside the greatest Olympian of all time on one of the best golf courses, their contributions will help us continue to expand our life-saving programming to those that need it most. LEARN MORE ABOUT THE GOLF.GIVE.GALA. Many of the Boys & Girls Clubs of America and Special Olympics Teams implementing the im program need experienced volunteers. Fill out our volunteer form to see if you are a good fit for one of our im locations. Sign up for our Annual Golf Classic or create your own fundraiser and donate proceeds to help us expand our programming. Reach out to Marissa@michaelphelpsfoundation.org for help organizing your campaign. Around the world, half a million people drown every year. More than half of those drowning victims are children. Let’s talk about it, so we can stop it. The support of donors and volunteers ensures participants around the world are receiving important water-safety lessons, as well as encouragement in setting active goals and fostering healthy lifestyles. 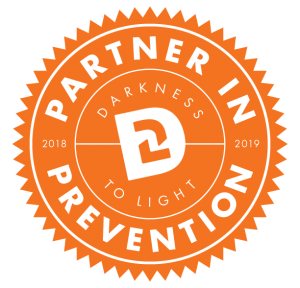 Together, we can reach more people with our life-saving programming. If you would like to mail a donation, please send to: Michael Phelps Foundation, 7 Ocean Street, 2nd Floor, South Portland Maine 04106, or donate online here. We are so thankful for our great sponsors. Because of their generosity, we can continue to make a positive impact daily. We have been able to work along-side many great nonprofits that believe in our mission. Together we have reached over 17,000 people worldwide with our programming. Please note that we do not fulfill Michael Phelps autograph requests. Due to the volume and frequency of requests, any item MPF receives will not be returned.